Today we are interviewing Grace Black about her poetry book, Three Lines: All That’s Left. I mingle with words as I navigate this realm, and writing is my way of understanding, discovery. When not writing you can find me in my garden with muddy knees and hands full of earth. Nature is my solace. Describe your new poetry book, Three Lines: All That's Left. 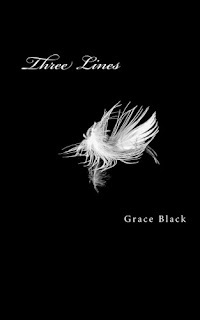 Three Lines takes loss and love and mingles misadventure of the heart into a woven form of poetic understanding. The digestible sized poems are meant to be read and enjoyed as stand-alone works or coupled to tell a larger story. Anyone who has ever experienced love, loss, or heartache will hopefully find something relatable in Three Lines. What inspirations contributed to Three Lines: ? Poetry is what exists in everyday life; it’s the visceral response to our daily interactions. 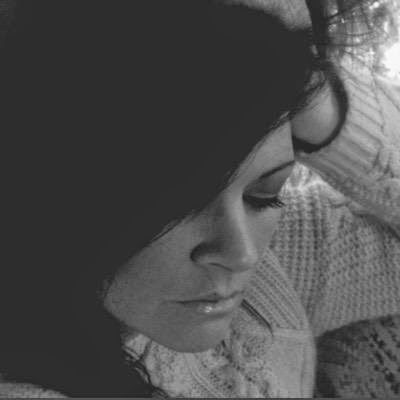 The inspiration for this collection of poetry was siphoned from my soul. You employ a minimalist style in your poetry. What drew you to this style? I favor a quality over quantity and have found less to be more. Life is filled with complications, and I try to simplify the meaning without diminishing the visceral effect. We often read a sentence or fragments in a book that linger with us longer than the whole of the story. This is what I have tried to accomplish with the poems in “Three Lines,” a sense of completeness in each of the brief offerings. My aim is to emote a feeling that is consumable and easily relatable with few words. Do the poems in your new book revolve around a central theme? Can you tell us a bit about your creative process, from the initial idea to the finished poem? I dabble in word play and hold the weight of words on my tongue. I spend a lot of time immersed in nature and allow my mind escape. That’s when the words come, and the poetry begins to take form. I am always jotting down notes and drabble for later tinkering. Are there any poets who have influenced your writing style? Many poets and writers have influenced my style. I’m sure pieces of all I’ve read are woven into my fabric as a writer. A few of my favorites are Baudelaire, Bukowski, Don DeLillo, and Anaïs Nin. Well, I always have several things going at any given time. I write short-stories, also know as flash fiction (brevity seems to be a theme), and have a few in an upcoming anthology due out in June of this year. Also, I am compiling my next book of poetry, a collection of prose poems, haibun, and haiku all rolled into one. I wrote Three Lines over a two-year span of time and many individuals inspired me along the way. The book is dedicated to all of—you.